Standard Products and Non-Standard Products are Available. 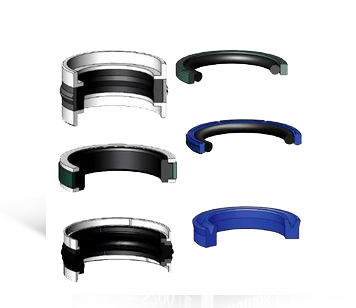 Piston seals, these u-seals are engineered to seal on their outside diameter. They offer extended service life and maximum reliability in piston sealing. 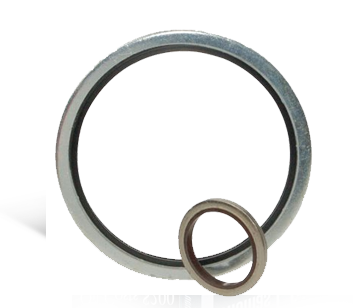 This rod buffer seal is designed to absorb impact pressure fluctuations under high-load conditions thus increasing the life of the primary seal. A wiper rings are precision molded from 90A durometer urethane. Flexible enough to easily snap into a groove yet tough enough to handle difficult rod wiping applications. 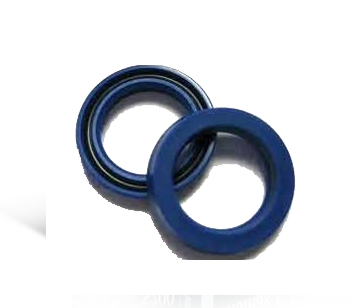 American Seal and Packing is leading Seal manufacture specialising in Hydraulic seals, Bonded Seals, Pneumatic seals, Rotary seals, and 'O'Rings. Founded in 1989 by Steadman & Associates, Inc., Hydraulicseal.Net is backed with 18 years of industry experience. 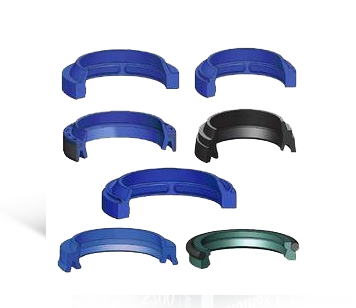 Hydraulicseal.Net provides top-notch o-rings, poly-packs, piston rings, u-cups, hydraulic seals, loaded lip seals, lip seals along with great customer support - a combination that can't be beat! Through our commitment, experience, and expertise Hydraulicseal.Net has established a business relationship with our customers that will last a lifetime! Call Hydraulicseal.Net at (714) 593-9780 today!